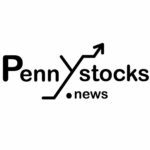 Vancouver, BC, CANADA — October 23, 2018 — InvestorsHub NewsWire — American Lithium Corp. (TSXV: LI) (OTCQB: LIACF) (Frankfurt: 5LA;) (“American Lithium” or the “Company”) is pleased to announce the results of its first sampling program on the Tonopah Lithium Claims, (TLC Project). The TLC Project is an early stage 1,550 acre lithium claystone project located minutes from the mining centre of Tonopah, Nevada, and required infrastructure. Sampling was conducted from 12 locations across the TLC claims at a depth of 15 centimetres (cm) and again from 15 to 45cm depth to check stratigraphic continuity. Average grades between the two sets were not statistically different. Lithium claystone mineralization is found consistently across the 6.3 square kilometres and appears to be open in all directions. Work by Alaska Nevada Mining Co., the original vendors, suggests the claystone may be amenable to a weak acid leach and the Company is currently verifying these results. American Lithium has conducted an initial sampling program to confirm and demonstrate the potential of the TLC project. 22 samples were taken at 11 sample site that confirmed as well as expanded on the sample assays presented by the vendors Alaska Nevada. Grab samples were taken at 11 sample sites at depth of 15 cm to ensure the claystone was not leached. Grab samples graded ranging from 129.5 to 1380 ppm Li with a mean grade of 608.5 ppm Li. A second set of chip samples were taken over a depth of 15 to 45 cm to give an understanding on consistency of the grade over a short stratigraphic interval. Chip samples graded ranging from 131.0 to 1340 ppm Li with a mean grade of 704.5 ppm Li. Alaska Nevada Mining Co., the project vendors, conducted a comparison test by assaying sample TLC-122 by Aqua Regia (ME-MS41), a strong nitric and hydrochloric acid leach, against a weak acid leach (ME-MS41W). The lithium values are almost identical; 1360 ppm Li for ME-MS41 and 1340 ppm Li for ME-MS41W. This preliminary testing supports the conclusion that the claystone may be amenable to weak acid leach for recovery of lithium. American Lithium has prepared 6 representative samples for assay comparison between Aqua Regia and weak acid leach. To provide a base line the Company will also perform a deionized water leach to quantify the amount of chemically free lithium in the claystones. The TLC claystone target is a near surface, relatively flat laying, free digging lithium claystone target which is easily accessible and only 12 miles from the mining center of Tonopah Nevada. In addition, it is just south of the Crescent Dunes Solar Energy Plant, the cheapest source of electricity in Nevada. The TLC samples were delivered to and assayed by ALS Minerals in Reno Nevada utilizing an ME-ICP41, (ICP-OES) analysis package. QA/QC Blanks and Standards have been inserted into the sample stream. The technical information within this news release has been reviewed and approved by Michael Collins, P.Geo., a consultant to the Company and a qualified person under National Instrument 43-101. For more information, please contact the Company at [email protected] or visit our website at www.americanlithiumcorp.com.